Wayde Compton writes fiction, non-fiction, and poetry. 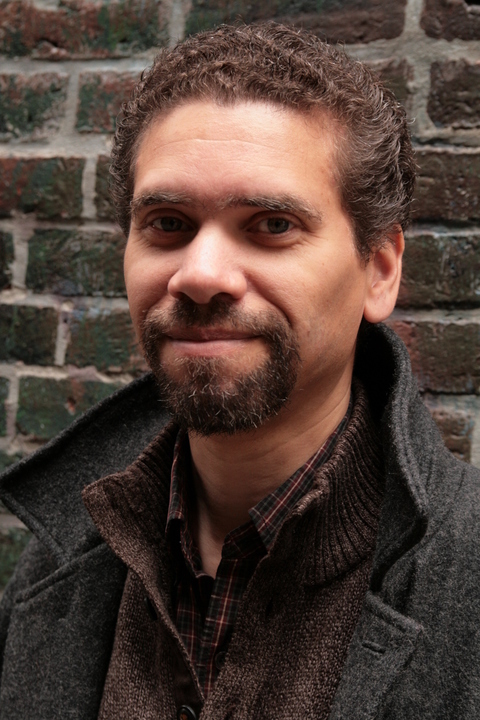 Three of his books ⎯ The Outer Harbour (Arsenal Pulp, 2014), After Canaan: Essays on Race, Writing, and Region (Arsenal Pulp, 2010), and The Revolving City: 51 Poems and the Stories Behind Them (Anvil-SFU Public Square, 2015) ⎯ were finalists for the City of Vancouver Book Award, and the former won in 2015. His book 49th Parallel Psalm (Arsenal Pulp, 1999) was a finalist for the Dorothy Livesay Prize. In 2002, he co-founded the Hogan’s Alley Memorial Project, an organization devoted to the public memory of Vancouver’s historical black community, and he presently serves as a member of the Northeast False Creek Stewardship Group. Compton is the Program Director of Creative Writing in Continuing Studies at Simon Fraser University, where he administrates the Writer’s Studio. Ann Marie Fleming is an award-winning filmmaker and artist who has been making work in a variety of different genres for 30 years, often dealing with themes of family, history and memory, particularly about her own mixed race identity. She is best known for the documentary, The Magical Life of Long Tack Sam (2003) and her most recent feature length animation Window Horses (2016), which features a main character of Chinese and Iranian descent. Congratulations to your well-deserved award, Joël! Dr. Michelle La Flamme is an Afro-NDN woman who grew up in Coast Salish territory. She is an educator and social justice advocate with a strong interest in performance. She has been writing plays and performing for three decades. She completed her doctoral work at UBC and has been teaching Canadian literature and indigenous drama for decades at SFU, UBC and UFV. She is currently an Associate Professor in the department of English at UFV and has been a guest lecturer in Poland, Germany and The Netherlands. Her first book, SOMA TEXT (WLUP) examines representations of racial hybridity in contemporary Canadian literature and drama and her current book project is an anthology of contemporary Canadian plays featuring racial hybridity. In her down time she rides horses and enjoys time with her grandchildren. We are so proud to be featuring live music by Desirée Dawson this year! Desirée hails from Vancouver, British Columbia. You might know her as the warm hearted and humble girl who won CBC's Searchlight Competition, as well as rocking stages with her ukulele all around the world. Asides from her soulful ukulele numbers, Desirée has had chart topping singles in the current dance music scene. Her single “Hide” Won her the title of CBC searchlight 2016 winner and is her first solo single on iTunes and Spotify. We're so lucky to have Vanessa as our MC for Hip Hapa Hooray! Vanessa is an interdisciplinary artist and facilitator with a foundation in music, writing, performance, and collaboration. Her practice was launched in the Vancouver independent music scene of the 1980’s where her band Bolero Lava made records and toured nationally. While resident in London, UK from 1992 till 2004, she was Co-Founder and Joint Artistic Director of performance art and music company, Mannafest. There her work toured premier clubs, concert halls and galleries including, The Jazz Café, Fabric, South Bank Centre, and Tate Modern.